Elder’s Ace Hardware, the family owned, locally run group of 20 neighborhood hardware stores that serve the East Tennessee and North Georgia regions, is hosting Tennessee’s second annual EggFest on Saturday, Oct. 27. The event will take place at Collegedale Commons at 4950 Swinyar Dr. from 10 a.m.-3 p.m.
Tickets are $20 for adults and free for kids 12 and under. 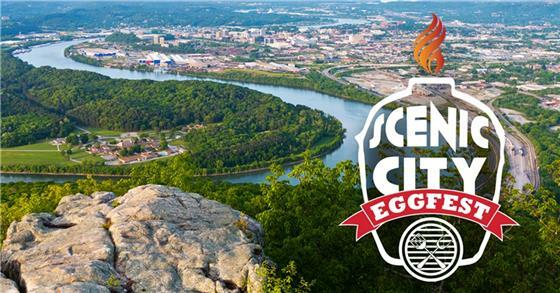 The net proceeds from Scenic City EggFest will benefit the local Chattanooga Area Food Bank. At this year’s EggFest, expect to sample unique recipes such as smoked BBQ, grilled pizza, and baked desserts. There will be live, local entertainment from 10:30 a.m.-2 p.m. from Clay Keller and The Fake Spectacles. A variety of cooking classes will be offered throughout the day from special guests including; Aaron Hoffman of Hoff Sauce, Kevin Ward of 441 South in Canton, Ga., Tim Hernquist of Pizza Porta in Atlanta, and Chris Grove of Nibble Me This in Knoxville. Cooking classes are sponsored by Food City. Elder’s Ace Hardware is offering the opportunity for community members to showcase their own grilling techniques on a Big Green Egg by signing up to cook at the EggFest. It is $50 to register a cooking team. The fee includes two Scenic City EggFest T-shirts and a team goodie bag full of grilling supplies valued at $100. Elder’s Ace Hardware also will supply up to two Big Green Eggs, along with lump charcoal, fire starter, convEGGtor, 6-foot folding table with two chairs, a table cloth, paper towels and napkins, hand sanitizer, one cutting board, forks, tooth picks, paper trays, and your team name/city sign. Cooks supply the cook team, ingredients, grilling utensils and expertise to prepare favorite recipes. Register a team on the EggFest website. Cook team spots are limited. Elder’s Ace Hardware will be selling the demo eggs at special discount prices. The brand new eggs will be used during Scenic City EggFest by registered cooking teams. Customers may then pick up their pre-paid Eggs after the EggFest from 5-7 p.m. on Oct. 27. Each Demo Egg package will include a Big Green Egg, a Nest, a Plate Setter, a 20 lb. bag of charcoal, a fire starter, and two EggFest tickets. Special thank you to Scenic City EggFest’s presenting sponsor First Tennessee Bank. For more information about the Scenic City EggFest, visit EldersHardware.com or the event’s Facebook page. Tickets available via Eventbrite.